This cute teacher appreciation gift idea is quick and easy to put together and includes a free printable gift tag. Teacher Appreciation Week is the first full week in May, which means it’s right around the corner. This year I’m giving my kids’ teachers some adorable floral pens that I found at Hobby Lobby. And of course I couldn’t resist making a punny gift tag to go along with them. You know how I just love a good punny gift. All I did to make this gift was print out the tags and cut them out, put the pens in a cute clear gift bag with some colored shredded paper and tied the tags on with a bit of ribbon. Easy peasy but still cute! The tags come four to a page, which is perfect if you have more than one child or if your child has multiple teachers… don’t forget teacher aids! You could also throw in some candy and a gift card with the pens if you want the gift to be a bit more substantial. 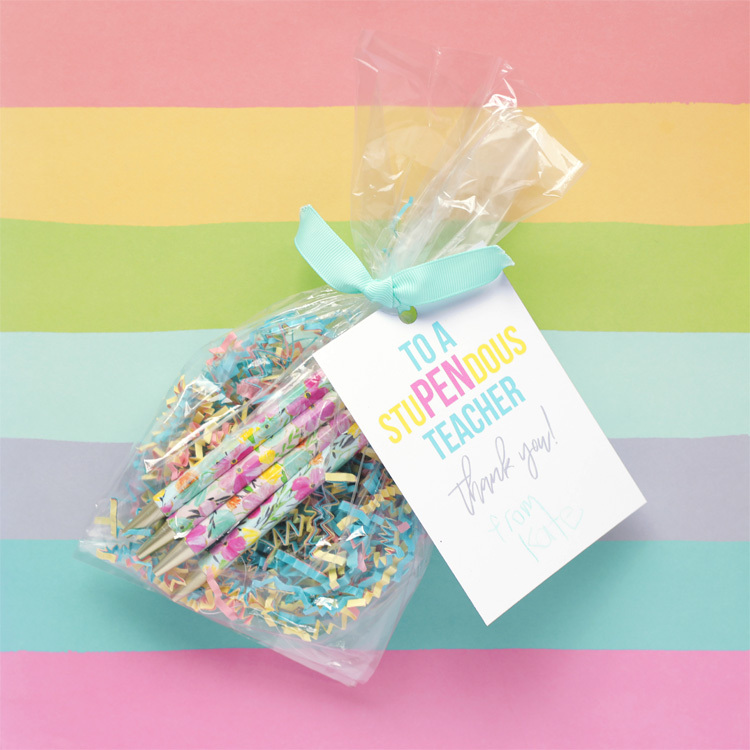 If you need more ideas, check out this round up of some of the cutest teacher appreciation gift ideas, many of which include free printables.